The present General Terms are designed to regulate the relations between Simeon Aleksiev 2002 Sole Trader, the supplier, title holder of the website www.vazrazdane-gallery.com (referred to hereinafter as „the online store“) and its users (you, our Customers). By submitting an order to the online store you accept and agree that the present General Terms shall have a binding force. The General Terms are compliant with the applicable Bulgarian law, including the relevant provisions of the Consumer Protection Act (CPA) and the Electronic Commerce Act (ECA). Please, bear in mind that your acceptance of the present General Terms may not be withdrawn retrospectively, for as long as the distance purchase contract for products in the online store is in effect or until all outstanding amounts are paid to Simeon Aleksiev 2002 Sole Trader. "PDPA" means the Personal Data Protection Act. "PSA" means the Postal Services Act. "ONLINE STORE" or „ELECTRONIC STORE“ means the virtual store at www.vazrazdane-gallery.com, which allows for works of art, publications and albums to be purchased on the internet. "USER" means an individual who is using the functionalities of the website. „SELLER“ means the internet page used as the virtual platform for the sale of works of art and albums. The seller is the person with whom the customer contracts a distance arrangement about a particular product in the electronic store. „BUYER“ means a person of full legal capacity, who agrees with the present General Terms in relation with the request and purchase of the products available in the online store. „SALES CONTRACT” means the contract concluded remotely via the present website between the Seller and the Buyer and dealing with product sales from the online store. "CONSUMER" means a consumer in the meaning of the Consumer Protection Act (CPA). "PERSONAL DATA" means personal data in the meaning of the Personal Data Protection Act (PDPA). "CASH ON DELIVERY" means cash on delivery in the meaning of the Postal Services Act (PSA). "GENERAL TERMS" means the present General Terms. Vazrazdane Art Gallery offers and sells works of art, catalogues and albums from its website and online store at www.vazrazdane-gallery.com. Through its website, the Gallery extends purchasing offers to its online-store customers by way of posting an electronic order, making payments of the respective price in a manner preferred by the user and delivery to an address stated by the customer. The offers are grouped by different categories (graphics, painting, drawing, sculpture, publications and albums), they contain key information about the product on offer (based on its type) and its price. The offers are accompanied by photographic materials. The Gallery’s online store offers only original works of art (painting, drawing, graphics and sculpture). 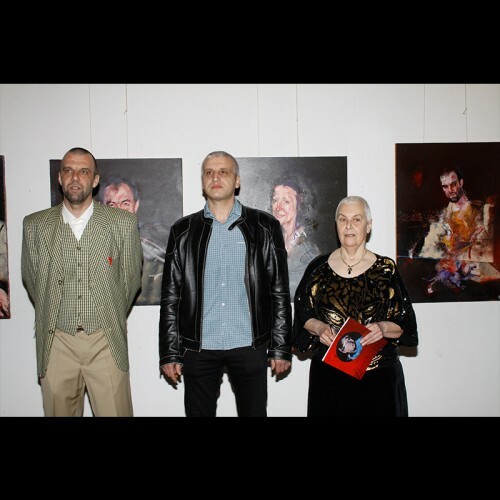 Vazrazdane Art Gallery guarantees their origin, authenticity and authorship, whereby it issues a certificate for each purchased work of art. 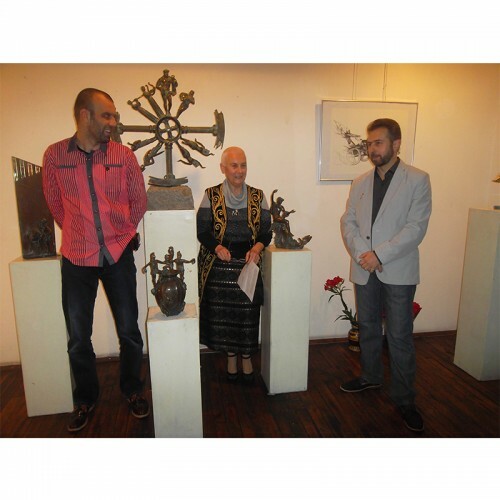 In case you wish to have the work of art delivered outside the Republic of Bulgaria, the Gallery ships the product with an export certificate issued by the Art Gallery. The online store provides a detailed description of each work of art, which contains the following requisite items: author’s name, title of the work of art, technique, dimensions, framed/unframed, author dated and signed. Paintings are offered as framed or unframed art, as shown on the webpage. In the Publications and Albums section you can find luxurious, big-format, bilingual (in Bulgarian and in English) catalogues and albums with illustrations and critical essays about various Bulgarian artists. The publications were made by the Vazrazdane Art Gallery and were printed by the ‘Rakursi’ Publishing House. The webpage user may shop as a ‘guest’ or as a ’registered customer’. To be granted the right to make valid requests, the customer has, either way, to fill in the e-form prior to finalising the order. - All fields marked with an asterisk (*) are required. - The customer declares to be of full age and in full legal capacity to conclude transactions. In case you decide to register, your shopping will speed up as the entries of your name, telephone and address will be skipped for each subsequent purchase, this will also enable you to track back your order history. The supplier confirms the registration by sending a notice to the electronic address stated by the user with information about activating your registration. The customer may, at any point after the registration, make changes in their initial data, except in the instance of an order confirmed by the Gallery, but not yet delivered to the address stated by the customer. Keeping safe the username and password of his/her account on the webpage shall be entirely the user’s responsibility, as well as any actions carried out by the user or by a third person using the user’s account. The user and the Supplier agree that all representations between them in connection with the conclusion and the execution of the sales contract may be conducted by electronic means in the meaning of the Electronic Document and Electronic Signature Act and of Article 11 of the Electronic Commerce Act. Presumably, the electronic representations made by the customers on the website would have been made in line with the data they had stated in the electronic form in the process of creating their account or filing a purchase order. The products, which the user intends to buy, must be added to the user’s shopping cart by clicking on the product’s name or photo and then on the ‘Add to cart’ button. The customer can review his/her products by clicking the ‘Cart’ button appearing within the small frame in the uppermost right corner of the screen. A purchase order is generated upon clicking on the ‘Pay’ button in the ‘Cart’ section. Automatically, the type, quantity and the total price of the products will be listed in the purchase order, based on the items added earlier to the customer’s shopping cart contents. - manner of payment you prefer. The purchase order is deemed submitted after clicking on the ‘I have read and I agree with the General Terms’ button and clicking the ‘Confirm’ button thereafter. The completion of the order has a legally binding effect and constitutes a volition of contract signature between the website user and Simeon Aleksiev 2002 Sole Trader according to the terms stated in the order. The customer gives his/her express consent to accept the order confirmation, which the Gallery forwards by e-mail, to provide the information and to confirm the distance contract. After a successful order, the user receives an order confirmation at the stated e-mail address containing all data about the order (products ordered, order number, price, delivery address). Confirmation by phone is given for a first order or where additional information or clarifications about the order are required. In the instances where the ordered product (a work of art or an album) is out of stock, the Gallery shall notify the customer. Where the customer does not agree to substitute the ordered product for another one, the order shall be cancelled, the contract between the parties shall be terminated and the Gallery shall refund the advance payments made by the customer. The prices are stated in BGN (in the Bulgarian version of the online store) and in EUR (in the English version). For domestic deliveries, the total price of the respective product shall be the end price, which includes the delivery costs and the ‘cash on delivery’ service (where applicable) for the account of the Gallery, to the address stated by the user in the confirmed order. If you wish to receive the product of your choice outside the territory of Bulgaria, you have to pay the additional shipping costs affixed by the Supplier and stated on the webpage, which are different than the product prices and shall be calculated on a per-product basis. For your information, the additional amount shall be displayed in the field Payment/Order confirmation, at the submission of your order, whereby the webpage system will automatically add it to your outstanding amount, prior to order completion. The prices shall be valid only as at the time of their publication and the Gallery reserves its right to make unannounced changes at any time. The Gallery is making continuous efforts to check if the prices stated on the website are accurate, without, however, being able to guarantee the absence of technical errors. Upon the detection of an error in the pricing of an ordered product, Simeon Aleksiev 2002 Sole Trader will inform the User as soon as possible and will allow him/her to re-confirm his/her order at the correct price or cancel it. If the Gallery is unable to establish contact with the customer, it will assume that the order is cancelled. If an order is cancelled and the User has paid for the ordered product, the latter shall receive a full refund of the paid amount. The user hereby agrees that delivery times may be extended due to unforeseen circumstances lying beyond the reasonable control of Simeon Aleksiev 2002 Sole Trader. Deliveries within the territory of the Republic of Bulgaria shall be free of charge for the customers and shall be shipped by Econt Express courier service, URL: http://www.econt.com. The country’s geographical territory excludes deliveries to Bulgarian overseas diplomatic missions, embassies, vessels, aircrafts under Bulgarian flag etc., which, pursuant to international law standards are deemed to pertain to the territory of the Republic of Bulgaria. Deliveries outside the territory of the Republic of Bulgaria (to EU Member States and third countries) shall be made through the licensed postal operator EMS Bulpost, URL: www.emsbulpost.bg. - impaired intactness of product and/or product damaged in transportation. Please, bear in mind that the picture frames do not fall within the scope of the contract and do not constitute a part of the purchased painting, but they are an accessory, wherefore, the Gallery shall not bear responsibility for transportation defects or other flaws in the frame. A claim must be filed within 7 (seven) days from the date when the products are delivered. For this purpose, please, use the electronic form uploaded in the Claims section at the bottom of the webpage. For justified claims, the Gallery shall refund the amount/s for the product/s subject of the claim (including delivery costs), only if the customer had returned the product/s with all accompanying documents to the Gallery’s correspondence address. The product/s must be returned in preserved artistic shape, without damages, except for the instances of damages in transportation. The refunding of the amount shall be made to the bank account stated by the user in the electronic form. The risk of loss or damage of the product is transferred from the Supplier to the User/Recipient the moment when he/she or a person appointed thereby, other than the courier, accepts the delivery. The rules of the present section of these General Terms shall apply only for Users, about whom, according to the data stated during the sales contract signature or in the course of their registration in the online store, a conclusion may be derived that they constitute consumers in the meaning of the Consumer Protection Act and the Electronic Commerce Act and/or Directive 97/7/EC of the European Parliament and of the Council on the protection of consumers in respect of distance contracts. The Consumer is entitled to withdraw from the present contract without any default payments and without stating the reason thereof, within 14 days from the date of receipt of the ordered products. To exercise your right of withdrawal, you have to notify us about (your name, geographical address and, if any, your telephone number, fax and electronic address) and about your decision to withdraw from the contract by making an unambiguous statement (for example, a letter sent by post, by fax or by e-mail). In order to comply with the time for withdrawal from the contract it will be enough to send your notice of exercising your right of withdrawal prior to the elapse of the term for withdrawing from the contract. For your convenience, we have appended a standard withdrawal form. Should you withdraw from the present contract, we will refund to you all payments you made, including the delivery costs (where such costs have been paid) without undue delay, and, in any case, not later than 30 days from the date on which you notified us about your decision to withdraw from the present contract. The paid amounts will only be refunded by bank transfer, and not as cash on delivery. Therefore, you are requested to send us a bank account, an account holder’s name and the product titles. We are entitled to delay the refund of your payments unless we receive the returned products or you supply evidence that you shipped the products back (whichever is earlier). Until the time of the transfer of a returned product, the risk of loss or damage to the work of art shall be borne by the Consumer. Upon withdrawal from the contract, the Consumer shall return the purchased product/s (a work of art or a catalogue) undamaged and preserved in their intactness. VI. Personal data protection. Confidentiality policy. All information published on the website, including images, photographs, logo, descriptions of the works of art and of the catalogues, texts and/or multimedia content are copyrighted materials and are the Gallery’s property. The users have no right (except for personal, non-commercial purposes) to copy, distribute, play, reproduce, publish, create secondary materials, transfer, sell or use in any other manner the website’s content without the Gallery’s express preliminary permission in writing and without reference to the source by sharing a link to the website. Users have no right to use the website in a manner, which violates applicable local or international laws or third-party rights, as well as for the diffusion of virus-containing materials. - failure to perform its obligations under the present contract at the face of circumstances it did not foresee and was not obliged to foresee, including contingency events, problems in the global Internet network and the provision of services beyond the Gallery’s control. The Gallery reserves for itself the right not to publish product reviews/comments made in obscene language or such with offensive, defaming, discriminative or intolerant content or such containing advertising messages and/or competitor information, with content contrary to professional and business ethics or eroding whoever’s prestige and reputation, as well as reviews/comments with content, which is inappropriate or such that violates third-party legal rights and interests. Upon registration on the website or by filing a purchase order, a customer grants his/her permission to receive a newsletter informing him/her about the forthcoming events hosted by the Gallery or about new products on the website. The user may, at any time, unsubscribe from the newsletter after sending notice thereof to the Gallery’s e-mail. Unsubscribing from the newsletter does not automatically amount to withdrawing their consent for the conclusion of a distance contract. For all matters unsettled in these General Terms, the provisions of the effective Bulgarian law shall apply. All disputes arising from the interpretation and the execution of the present General Terms shall be settled by an agreement between the parties, or, where this is not possible and where jurisdiction is not dealt with by an imperative provision, disputes shall be referred to the competent court in the Republic of Bulgaria. Should any of the provisions of the present General Terms be rendered void for whatever reason, such nullity shall not span on the effect of the remaining provisions. The Gallery reserves for itself the right to amend the present General Terms at any time, without prior notice. The amendments shall take effect as of the day of their publication on the webpage and shall apply thereafter, which means that they will not affect the orders confirmed prior to such date. The present General Terms shall enter into force for all Users as from 16 November 2017.